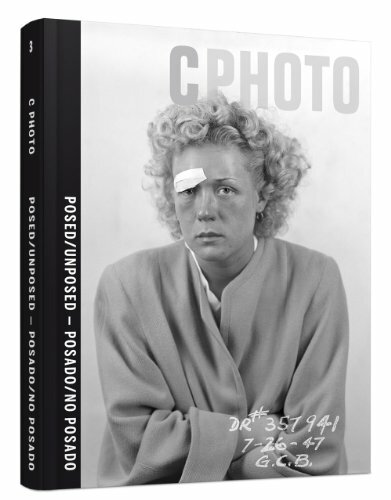 Ivory Press' C Photo series is a five-year project that follows on the heels of C Photo magazine, departing from its predecessor's format by structuring each issue thematically, with guest editorships from various internationally renowned curators. Edited by Elena Ochoa Foster, Tobia Bezzola and Connie Palmen, Posed/Unposed examines the photographic tension between the entirely spontaneous (unposed) and the entirely artificial (posed), in a selection of 13 portfolios drawn from both contemporary and historical photography. A variety of approaches and genres are represented, from photojournalism and amateur snapshots to advertising, portraiture and fashion photography. The 13 photographers are Slim Aarons, Guy Bourdin, Ghislain Dussart, Hester Scheurwater, Los Angeles Police Department, Jacques Henri Lartigue, Federico Patellani, Pawel Jaszczuk, Edward Quinn, Rico Scagliola & Michael Meier, Jules Spinatch, Thomas Struth and Garry Winogrand.